Description: Lady of the Lake is a traditional block made of half-square triangle units. We chose shades of red, navy and tan neutrals for a slightly nautical flair. 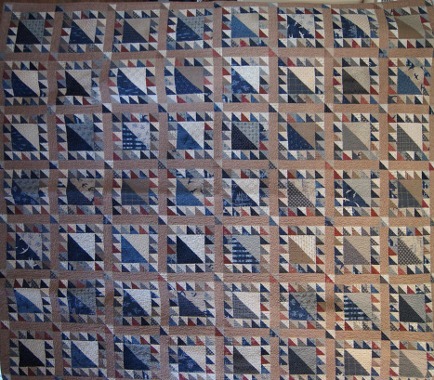 This traditional quilt is perfect for any time of the year!